Plastic … what’s our role? As with all new projects, when we started Ubatuba, we had a bright eyed vision. Create equality, save the environment and provide people with healthy food at the same time. These are our core objectives. However, as we soon learned, there were some trade offs we would have to make in order to achieve these things. One of which was biodegradable packaging. Fake biodegradable products – many so called biodegradable labelled products are simply not. We spent a lot of time testing if biodegradable labelled packaging would actually would break down in our compost system. Unfortunately, we also spent a lot of time picking those fake biodegradable products out of the compost several weeks after they were meant to break down. Moisture barrier – All of Ubatuba’s products come in a natural powder form, meaning they are hydroscopic and absorb water. If they absorb water for a long period of time they begin to loose their active ingredients. As a result, we require a biodegradable package that has strong moisture barrier properties. Of all the biodegradable packaging we sourced, none were able to guarantee moisture prevention and the quality of our products. Another fail. 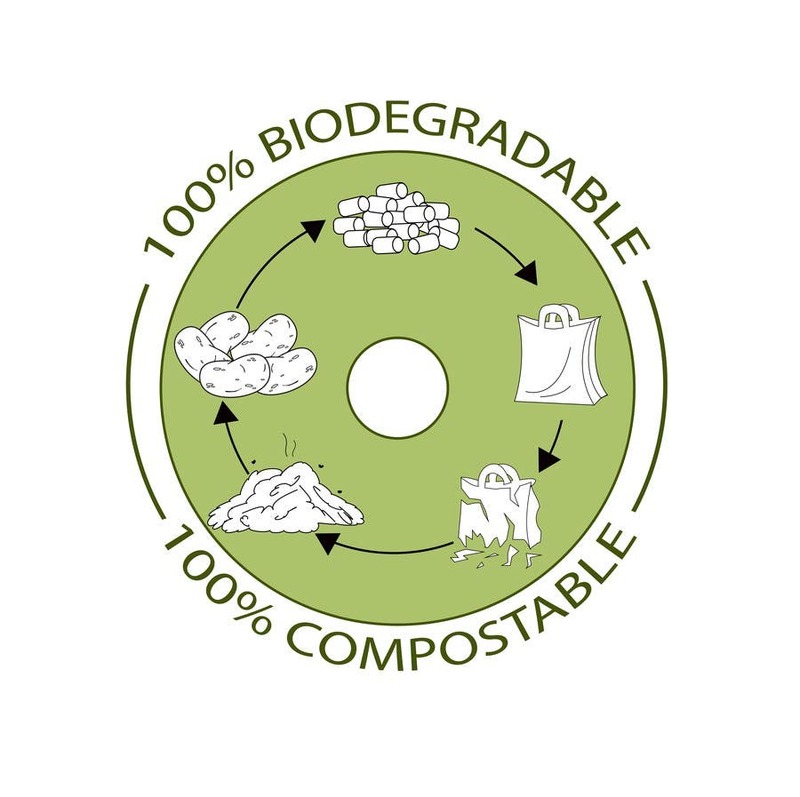 Food grade – Some biodegradable packaging we sourced were both real and had great moisture barrier properties. Awesome! However, after further testing we found they contained chemicals that were not food grade. Health is one of our core ethos, so putting our customers at risk was not an option. Another fail. We were feeling quite depressed and needed to rethink our strategy. If the industry was not yet at a point where it could supply functional, high quality and safe biodegradable packaging then the next option was recycling. First we looked into recyclable plastic. Turns out that even though you can recycle plastic, doesn’t mean it will actually be done. It is often more expensive to recycle plastic than it is to produce, so most is simply sent to landfill. This is especially the case when plastic packaging is combined with other materials such as aluminium. The process of separating the materials is costly and therefore abandoned. From this we realised two things. One, we needed a 100% pure product and two it needed to be easy and readily recycled. It turns out aluminium is one of the most recycled metals in the world. This is because it is actually cheaper to recycle aluminium than produce more. In fact, in some countries, 90% of aluminium is recycled. An added bonus is aluminum waste also provides a source of income for the underprivileged who collect cans and sell to recycling plants. Okay … looks like we have a winner. In sum, It is very hard to find 100% biodegradable packaging for food grade products such as ours but we believe we have found a solution in aluminium for the time being. The biodegradable industry will only keep developing better and better products and we will continue to look for one that fits our requirements. Every day in our lives we are forced to make trade offs. The important thing to remember when making these decisions, is to stick to your values. Protecting the environment is one of our core values and we would not compromise this to save money and time on cheap and easy mixed paper or plastic packaging. As a result, our values now shine through every package we ship and everyone involved with Ubatuba can clearly see we are a company that sticks to its mission of providing ethically sourced, and environmentally friendly health foods.